Plants tolerate different light levels, watering and temperature. Choosing the right plant can mean the difference between a thriving and healthy specimen or a sick and dying one. Plants, like architecture, color, texture, art and space, vary tremendously. As design professionals, your FDS consultant will help pick the plants sizes and styles that suit any design. We have access to planter inventories from around the globe and will always find a plant and planter combination suitable to your design and environment. We offer complete, guaranteed plant care services that include the free replacement of qualified plants should they decline or become unsightly. 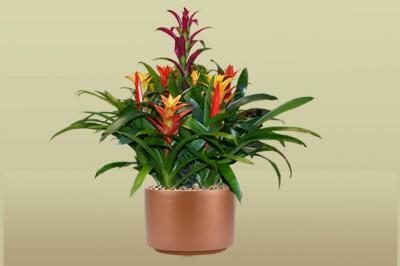 Because our professionals will always choose the right plant for the right location, you have a better chance at caring for the plants yourself, an option that may be your only choice due to budget considerations. Live plants in your space can help make people happier, healthier and more productive. FDS will customize a plant package that fits your budget, whether it’s just a few strategically placed plants, or our full service to include design, complete installation, delivery, and ongoing care with full guaranty. To speak with one of our design professionals at no cost to you please click here.